It is a pleasure to welcome Casey McQuillen to the blog. What makes this Boston, Massachusetts singer-songwriter stand out in the recording industry is her innate ability to connect her message of self-empowerment through her music. Ms. McQuillen has come a long way from where she started on her journey which began when she tackled her seventh-grade project, where Casey taught herself how to play the guitar and learn how to craft songs. That creative spark led her to YouTube, where Casey recorded originals and covers that amassed over 1 million views. Before Ms. McQuillen even enrolled at the prestigious Berklee College of Music, she recorded, produced, and arranged two studio albums. 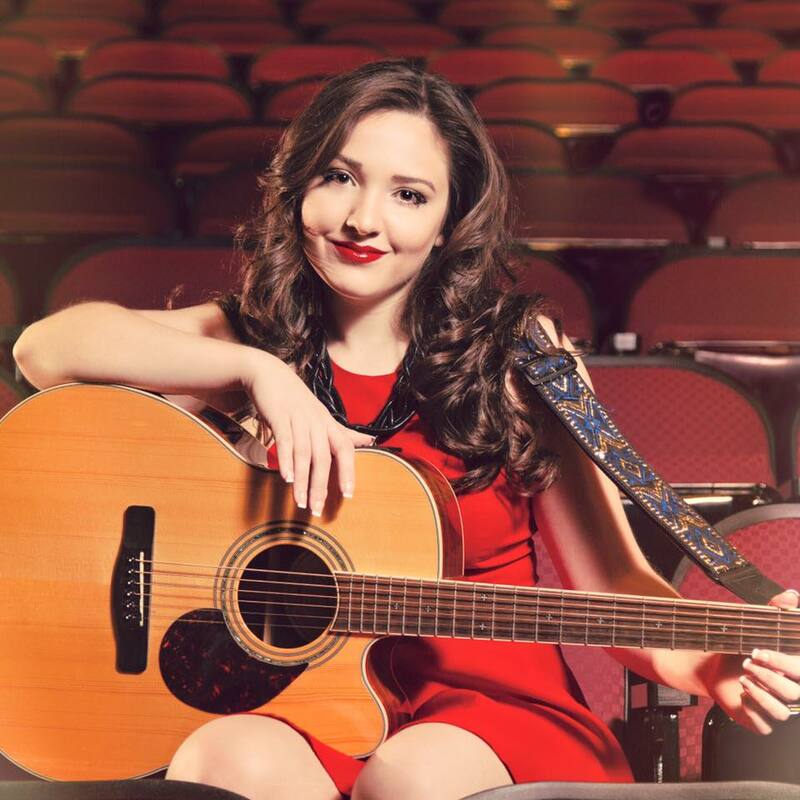 In 2014, Casey jumped into the national spotlight when she auditioned for Keith Urban, Jennifer Lopez, and Harry Connick, Jr. on the thirteenth season of American Idol with a superb cover of Demi Lovato’s “Skyscraper.” She received a Golden Ticket to the show’s signature Hollywood Round. After her appearance on the iconic singing competition and during her time at Berklee, Casey took all of her life experiences and created a unique anti-bullying concert series called the “You Matter” Tour. She has performed in over 100 middle and high schools throughout the New England area. Recently, the UN Foundation acknowledged her achievements during their “Girl UP-Fab Female Friday. In this edition of A Conversation, Casey opened up about her American Idol experience and how it ties into the “You Matter” Tour. Casey McQuillen: I have really been interested in music my whole life. Ever since I was a little kid, I would always be writing songs. I remember showing my parents the very first song that I memorized lyric-for-lyric was (Aaron Carter’s) “Aaron’s Party (Come Get It).” I was always very attentive when it came to lyrics. I never realized that it was not something that other people. When I was 12-years-old, I was in my seventh-grade English class and every year each student had to pick a goal. For example, my older sister assigned herself to learn how to bake a cake. I decided to be ambitious and learn how to play guitar, write a song, and perform it in front of the class. My teacher, Mr. Givens, pulled me aside and told me: “Casey, I know how important your grades are to you and I do not want to give you anything below an “A.” You have set this as your goal, and you have to do it.” Despite Mr. Givens’ warning, I have always wanted to do my project. I learned a couple of Taylor Swift cords (miming playing the guitar) and began to write my song. Sadly, my grandfather became very ill during my project and ended up passing away during that period. That song became the first example of releasing my emotions through songwriting. I performed it in front of the class, and everyone liked the song. (laughs) You can be very addicted to express yourself in a way that people are into communicating with you. But, it was not until I started posting on YouTube that I began to take this seriously. I had a pretty big following because I was putting songs online and I did not know that people don’t normally do it. I have to give a lot of the credit to my parents because I went to a very academic-focused school, where it was very Ivy [League] driven. Most parents were asked how many SAT-prep courses that their children were doing to get into Harvard. My parents sat me down and said: “If I did not pursue a music career, I would regret it for the rest of my life.” My mom told me that the happiest that she has ever seen me is on stage and she did not want me to give that up. She also added that I could go back to law school at any time, but advised me to pursue a music career while I was young. I am so lucky that my parents are so supportive because they are my emotional cushion that I can bounce off of. JE: In 2014, you auditioned and appeared on the fourteenth season of American Idol. How did you grow as an artist through that experience? CMQ: Because I was studying songwriting and music business at Berklee at the time I auditioned for Idol, so much of my focus was not on singing. My identity as a musician was as a songwriter and as a business person. Those were the two things that I was passionate about. I look at singing as an avenue to get to express myself through music, whereas the actual music was the songs that I was writing. Going on Idol to be recognized in such an extreme way for something that I never thought to put first was eye-opening to realize that there were a lot of people that enjoyed just the singing by itself. Idol helped me by showing me that singing was a new avenue that could help me build a fan base, but always with a goal of using cover songs as an avenue to introduce people to my music as well. JE: Next year, ABC will bring American Idol back to television. What were you thinking when they revealed that announcement? Is it too early to bring the show back? CMQ: I do not think that it is too soon to bring the show back. I believe that American Idol is a very useful marketing tool for musicians. That goes as well for the other Reality TV competitions. In this day of age where everyone has access to a computer, a guitar, and an iPhone to record a video, it could be hard to differentiate yourself. I am happy that Idol is coming back because my fan base tends to be very young because I run a program with schools called the “You Matter” Tour. I talk to the students about is my time on the show and how it helped me adjusted my definition of failure. It is a paramount conversation to have with students in connection with self-confidence. American Idol’s returns extend the relevancy of that story for me with these young students who might not have known what Idol was and how that program was relevant to the music industry. JE: Speaking of the “You Matter” Tour, could you please share its origin story with my readers? 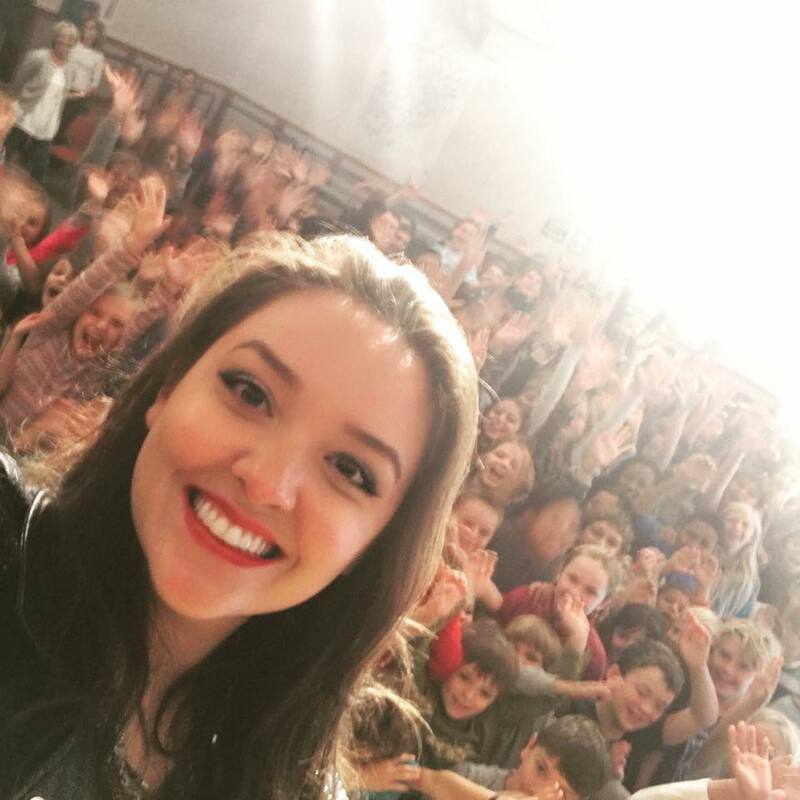 CMQ: The “You Matter” Tour is an anti-bullying program that I developed five years ago that uses some of the original songs that I wrote in middle school. I was around the same age of the students that I spoke to when I wrote the song that I talked about earlier in this interview. These songs are about what I experienced when I was anywhere between 13-years-old and 17-years-old. I go back and reengage those emotions with the students and help them work through those issues. The program developed pretty much by accident when I went back to that middle school after I had been accepted to Berklee, and my old guitar teacher wanted me to do a songwriting lesson to his class. As I prepared for the visit, I asked myself: “What songs would be relevant to the students?” I decided to use the songs that I wrote when I attended the middle school. I shared the story behind each song, and it opened a dialogue to talk about the experiences that we faced during school. Thanks to appearing on American Idol and the exposure that it gave me, I have played in front of 30,000 students in over 100 schools. It is an amazing way to make a deep connection with my music with lots of fans, which is what any artist wants. JE: What are some of the lessons that you hope that your audience takes away from the “You Matter” Tour? CMQ: When I meet with principals and other school officials, I tell them that the “You Matter” Tour is a self-confidence program. I do not think I am going to be successful in stopping every mean word that one child might say to another child. My goal is to give those students a little bit of an emotional armor and a barrier. So, if someone says a nasty comment to them, a small piece of those words deflects. I hope that they come out of the assembly and say: “My thoughts and feelings matter” and “I matter.” I am providing these students something that I did not have when I was 13-years-old, which is a voice that tells them: “This is not your fault, and they are just mean! It is nothing to do with you; it is about them.” I believe that the little bit of protection is all that you can hope for as an adult when you speak with kids. JE: Who are some of your dream artists and producers that you would like to collaborate with in the future? CMQ: “Hey, Max Martin! If you are reading this interview!” (Laughs) Max Martin has produced or co-written over 22 number one singles. While he is busy working with the artists who gave him those number one singles, I hope to work with him someday. I love Sara Bareilles! I love listening to her deep cuts on her album, and I think that she is an unbelievably talented woman. I would like to co-write a track with her. I would also like to work with Adele, Taylor Swift, Bruno Mars, and Ed Sheeran. These people show their craft than saying it. In songwriting, you want to paint the scenery for your listeners, and you do not want to tell them what they are feeling! You want to give them the scene and let them decide what they are feeling. Artists like Adele and Sara Bareilles paint you a story that the listener can relate their memories into it, and I am addicted to that style of songwriting. JE: If you had the chance to meet with an aspiring singer-songwriter who wants to pursue a career in the recording industry, what advice would you share with them? CMQ: YOU ARE A BUSINESS! I share this piece of information to all of the young women who approach me and ask for advice. I tell them that “You are a businesswoman!” You have to put on numerous hats including marketing and CEO hat. No one is going to come down from the sky and hand you your dreams, you are going to have to be willing to fight for them! At times, I get frustrated with Idol and these other shows because it has to be part of 2f of your marketing section of your business plan. The world is not going to be presented to you on a silver platter, because that is what everyone else wants. If you are not comfortable with the business side of the music industry, get comfortable with it! If it is that not even a possibility, your number one goal is to find a partner who is going to take over that role for you. You do not want to walk into a meeting with everyone saying jargon that goes over your head and you have no idea what is going on. It is called the music business for a reason and the difference between a hobby and a career is where people want to buy your music. For more information about Casey and the “You Matter” Tour, visit her website. You can also connect with Casey on social media by visiting her Facebook, Instagram, Twitter & YouTube channels.